After a series of three failed marriages, American musician and actor Willie Nelson has finally found his perfect match. The legendary singer has also thanked his previous conjugal lives as it enlightened him to make his fourth marriage long lasting. He is married to Annie D'Angelo at present. D'Angelo and Nelson tied the knot in 1991 and since then they are inseparable. It all started after country music singer Willie Nelson first met his now wife, Annie D'Angelo on the sets 1986 film Stagecoach. At the time, the latter was makeup artist whereas the former starred in the movie alongside actors Kris Kristofferson and Johnny Cash. During the first encounter, Nelson was still married to his third wife, Connie Koepke. Following divorce with Nelson's third wife Connie Koepke in 1988, the new couple Nelson and Annie D' Angelo exchanged the vows on 16 September 1991 in a grand wedding ceremony at Nashville, Tennessee and since then they are living happily ever after. 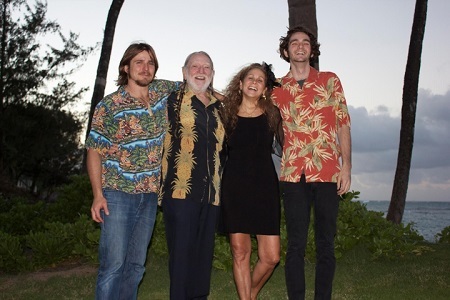 They together have two sons, Lukas Nelson and Jacob Micah Nelson. The couple resides in their Hawaiian home located in Maui along with their children. They love spending time together and frequently goes for vacations and also visit their ranch near Austin, Texas. Throughout their 27 years of blissful married life, their relationship has grown even stronger. D’Angelo supported her husband when he suffered from life-threatening medical issues such as pneumonia and emphysema, his lungs also became congested due to over smoking, he also damaged his wrists while playing the guitar continuously due to which he underwent carpal tunnel syndrome surgery in 2004 and he also underwent stem-cell therapy in 2015. During all his bad times, D'Angelo stood behind her husband and encouraged him. The country singer wouldn't be able to overcome all those problems if she hadn't supported him. D'Angelo is indeed a super supportive, loving, and wife. Moreover, the country singer also revealed that his previous failure marriages teaching him to find his perfect match. Besides his married life, his fans are concerned about his health and professional career. Throughout their 27 years of conjugal life, D'Angelo and Nelson are blessed with two sons: Lukas Nelson who was born on December 25, 1988, and Jacob Micah Nelson who was born on May 24, 1990. Following the path of the father, their first son Lukas also became a musician. He is the frontman of the rock band based in California, Lukas Nelson & Promise of the Real. Their second son, Jacob is an actor and composer. He performed in several dramas and documentaries such as Turn Me On, Dead Man, Revolution Green and The King of Luck. Besides, the 85-year-old singer also has five more children from his previous relationships: Lana Nelson, Susie Nelson and Jr. Billy Nelson from first wife, Martha Matthews, Paula Carlene Nelson and Amy Lee Nelson from wife Connie Koepke. Though Angelo is the stepmother to Willie's five kids, she loves and cares for them like her own. The couple is celebrated 27th marriage anniversary in 2018. Let's wish them all the very best for a happy and prosperous life ahead. 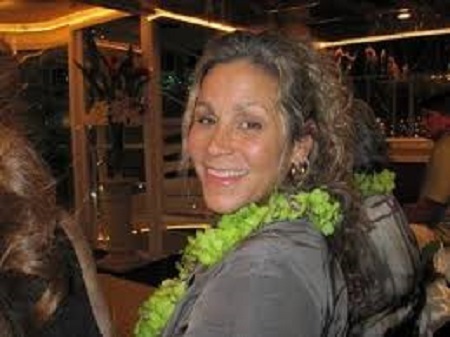 Annie D'Angelo holds American nationality and she is White American as per ethnicity. She worked as a makeup artist in several movies during the 1980s. D'Angelo is Willie Nelson's fourth wife. They got married in 1991. She shares two sons, Lukas Nelson and Jacob Micah Nelson with husband Nelson. Her husband Nelson grew up in depression in Texas. Her husband Nelson's estimated net worth is $15 million as per The Richest and $25 million according to Celebrity Net Worth.